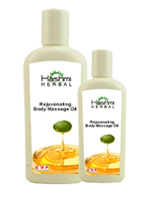 Hashmi Herbal Rejuvenating Body Massage Oil invigorates your senses and rejuvenates your body while you embark upon a fresh adventure in sensory exploration with unique blend of organic essential oils like Patchouli and Lemon. Its silky warmth will gently whisk you away to a sensory world of exotic aromas. Easily absorbed and non-greasy, it washes away easily leaving only a gentle memory of a lingering touch. Packaging : 100 ml. & 200 ml. Indulge yourself with this luxurious creamy blend of non-greasy, quick-absorbing, Hashmi Herbal Honey and Grape Body Lotion. It makes your skin soft, supple and velvety smooth, while leaving a delicious fruity scent. This lotion will maintain skin’s natural moisture and provide 24 hours miniaturization. Packaging : 100 gm & 200 gm.